Globalquest Staffing has multiple opportunities for Java Developers with one of our premier clients. The client is looking for ambitious developers who are looking for an opportunity to take their degree in Computer Science and grow their career with a fantastic local company. Ideal candidates would have a background in with Java frameworks, experience building and designing user web based services and knowledge of REST or SOAP. Proud to be an EEO employer. No C2C candidates please. Globalquest Staffing is assisting one of ouer premier clients searching for a Business Analyst Responsible for facilitating medium to large projects from proposal through post implementation while monitoring expenses. Conduct business requirements walk through to support the development of functional specifications while providing system design consultation Act as project lead to ensure test plans and specifications are completed and project meets established milestones. Responsible for various system testing activities that are not covered by other teams, including but not limited to developing test scripts, plans, strategy and coordination of overall testing including user acceptance. Responsibilities: Meet and discuss requested changes with business client ensuring a thorough understanding of business requirements to complete functional specifications. Facilitate / provide estimates after business requirements and functional phases while establishing time lines and project phases. Consistently monitor scope of project to ensure the project stays within scope and meets Sarbanes Oxley requirements. Ensure that SDM (Software Development Methodology)/ PMM (Project Management Methodology) process and documentation are followed. Act as a representative for the applicable application, functional lead, or other IT lead for supported project. Works with the vendor and technical team for a thorough understanding of the project functionality and provides insight on implementation. Participate in and documenting data mapping for integration of systems, conversion, and acquisition related projects Responsible for ensuring any issues that arise from testing or implementation are escalated and resolved appropriately in an efficient and timely manner. Coordinate and manage the post implementation process to include but not limited to follow-up, feedback, problem resolution and also a post implementation debrief including an actual-to-plan for timeframe and financials. Proud to be an EEO employer. Must have experience with Java frameworks Must have experience building and designing user web based services Must have knowledge of REST or SOAP Looking for the ability and desire to learn new technologies. Provides designs, specifies information systems solutions and highly technical direction in the development of new or existing applications to solve basic to complex problems or enhancements. Acts as a principal application designer for major modifications effectively using analytical skills, technical skills, available technology and tools in the evaluation of client requirements and processes. Serves as Subject Matter Expert (SME) for business systems-related enterprise-wide initiatives, complex discretionary projects, compliance/regulatory requirements and system changes due to contractual agreements or system maintenance, and as knowledge resource and mentor for less experienced staff. Provides solutions that are technologically sound. May perform day to day support activities and special projects. Works with internal application owners in defining optimum technical approaches to achieve efficient and effective systemic solutions to their application needs and improve the Bank’s Technology Portfolio and Software Development. Maintains a current understanding of assigned applications, enhancements, business process flows and impacting regulatory/compliance matters to ensure future requirements are met through value-added consultation with other applications. Ensures that technical solutions and designs comply with the overall Architectural Strategy for the Bank. May represent the Bank at vendor executive Advisory Boards, user conferences and Industry Events. Directs and monitors the activities of cross functional staff. Proud to be an EEO employer. THE FADP PROGRAM SETS YOU UP FOR SUCCESS AS A FINANCIAL ADVISOR Our advisor development program is an award-winning program for professionals who wish to build a wealth management business. You will be a part of a best-in-class training curriculum and new advisor mentoring that has been our strength since 1946. The program is designed to help you come up to speed quickly as a successful financial advisor. We’ll help you develop the critical skills and knowledge necessary for establishing a robust wealth management business—acquiring clients, developing relationships, providing tailored strategies and more. You will also be able to use the deep resources and full capabilities of both Merrill Lynch and Bank of America. With our tools, powerful platform and ongoing team support, you can spend more time on what matters most to you and your clients. Our open-door, collaborative culture will give you the type of leadership support you need and the confidence that your firm is always behind you. Compensation and program benefits: • Base salary through the full 43 months with bonus potential • Preparation for registration exams, including Series 7 and Series 66 • Ongoing access to firm and banking partners to meet client needs • Market viewpoints, investment strategies, and model portfolios that help you scale efficiently from a unified Chief Investment Office • Wealth Outlook tools platform to manage clients’ goals-based financial strategies What you’ll do: As a Merrill Lynch Financial Advisor, you will leverage your Merrill Lynch support team to help your clients pursue and meet their goals. Your responsibilities are, but not limited to: • Developing and/or growing a book of business to meet and exceed pre-defined goals • Effectively sourcing prospective clients • Recommending investment products and services that are suitable for prospects and clients based on their goals • Balancing investment management, sales activities, and new client development • Establishing and maintaining a relationship with the management team to effectively deliver reports and receive mentorship Who you are: You are open-minded and ready to make a career transition to grow as a Financial Advisor. You demonstrate rapid advancement by exceeding goals while adhering to high professional standards and integrity. You are not afraid to take initiative, actively use our resources, and are uncompromising about serving your clients’ best interests. You have: • Strong relationship and interpersonal skills • Bachelor’s degree or higher About us Merrill Lynch Wealth Management is a leading provider of comprehensive wealth management and investment products and services for individuals and businesses. We specialize in goals-based wealth management, including planning for retirement, education, legacy, and other life goals through investment advice and guidance. Our advisors help clients pursue the life they envision through a one-on-one relationship committed to their needs. We’re here to provide a supportive environment so you can focus on assisting your clients better and deepen relationships. Merrill Lynch’s Financial Advisor Development program (FADP), formerly called Merrill Lynch Practice Management Development (PMD) program, won a Gold Award for “Best Sales Training and Performance Program” in the 2017 Brandon Hall Group Sales Performance Awards. The “Fast IT" of our client is working on IT projects that are in between commando tactical developer (VBA) and industrial IT development (with development cycle of several years) for trading risk analysts or the financial department. The Fast IT team’s mission is to deliver solutions with a reduced time to market, by working on simplifying technical topics while working closely to the business, and working on a state of the art risk management platform. Our client ambition is to rely on a global team that would assist worldwide users, and including each location in the development of their specific requirements. The Fast IT team is already in place in Paris, Hong Kong and Bangalore, and is being created in the US. The team is made of two types of profiles: #1: Senior and expert developers, that are developing a “self-service” micro-platform: big data (Hadoop), micro services, python, reporting, analytics (active pivot), data visualization, bots, etc. on which functional developments are based. #2: Data Engineers that use the platform to implement complex use cases in Python/HQL (Pnl explanation with sensitivities, z shock in PySpark, medialization studies, regulatory exercises as STT EBA for the BCE). They also assist the business teams by developing in Python and HQL, so the business can script quick functionalities. Responsibilities We are recruiting a full-time consultant, who would be a technical expert in Java/BigData (Stack Hadoop: Spark, Hive, Parquet) and with proficiency in Python to assist our client on their technical platform (profile #1): Provide developments in: Big Data (Hadoop) Micro services Python Reporting, analytics (active pivot) Data visualization Bots, etc. Take ownership of technical topics and new challenges (in a very small development team) Work in agile mode (scrum) Assist US local users and data engineers in a FAST / tactical development mode. The workload is estimated at 20% as user assistance / 80% as full development of the global Fast IT platform. Qualifications and Experience Technical / Business Skills: Understanding of the banking environment and of Corporate and Investment Banks Understanding of regulatory exercises to be done for the FED and BCE TDD/BDD and its practical implementation Understanding of continuous integration and continuous delivery Strong analytical and problem solving skills Good communication with the business and other team members Strong autonomy and resistance to stress Strong ownership on the work to be accomplished Desired Experience: Senior developer with ideally +7 years of experience. Company’s Benefits Talan’s offices are located near Union Square, right in the center of Manhattan. Our company benefits include: Competitive salary 401(k) retirement plan with company matching Three weeks of paid vacation per year at hire and up to 5 weeks according to seniority (annual untaken vacation days are cashed out) 5 sick days and 2 personal days Eight paid holidays Company health, dental and vision insurance plans Other benefits such as transit benefits, FSA and perks Join us! Consult our website and our ads: www.talan.com Please send your resume to recruitment@talan.com and mention the position job title. Founders Federal Credit Union helps our members attain their financial goals. Our innovative services, convenient locations, and friendly employees are dedicated to our members and their financial future. Consistently recognized as one of the largest and most innovative credit unions in the nation, Founders serves more than 219,000 members and has over $2.2 billion in assets. We are the largest Credit Union in South Carolina. Founders Federal Credit Union is strongly committed to providing the highest level of quality service to our members. We realize our outstanding, dedicated employees make it all happen. We are seeking a talented and motivated individual to join our strong organization and growing team as a Business Development Officer in the newly developed Clemson, SC, market area. We welcome your interest in employment with our family-oriented organization where we proudly offer competitive salaries, excellent benefits, and centrally located branches. Job Responsibilities The Business Development Officer is responsible cultivating new and maintaining existing Business Partner relationships with Founders Federal Credit Union to increase penetration of usage and service offerings. This person will serve as liaison between credit union and Business Partners in the Clemson service area. Will work independently, however reports directly to the AVP of Business Development. Additional responsibilities include, but are not limited to: Coordinate, schedule, and manage Employee signups and orientations. Conduct presentations to employees of Business Partners. Maintain current SEG Management database, including contacts, activity and prospective companies. Educate Business Partner contacts about new services, promotions, and enrollment procedures via telephone, site visits, letters, emails, and direct mail campaigns. Provide supplies as needed. Work with Marketing and Operations to provide current information on a continual basis to Business Partners. Work with Marketing to develop and prepare customized marketing materials and solicitations when needed. Assist with events and promotions to increase membership Contact and visit prospective Business Partners to present information on available services and benefits the Credit Union offers. Actively participate in civic organizations and community events representing Founders Federal Credit Union and take advantage of all networking opportunities in the region. Provide clerical assistance for AVP, Business Development Comply with all statutes and regulations, including but not limited to BSA. Job Requirements The successful Business Development Officer must have an Associate Degree or equivalent course work. Sales experience and knowledge of credit union industry is preferred. Additional requirements include: Positive attitude and highly personable. Strong communication skills; must be a confident and persuasive public speaker. Must be self-motivated and have the ability to manage priorities and balance multiple projects. Must have strong working knowledge of Microsoft Office Products, computer skills, including some database experience. Must be well-organized, able to meet deadlines, and follow through on details with minimum of supervision. Must display professional appearance and manner. Must be able to work with branch staff and other departments to schedule business partner events. Must exhibit flexibility in work schedule as some business partners may require presentations or sign-ups at hours other than 8 – 5. Benefits As the Business Development Officer , you will receive a competitive income and comprehensive benefits package. Benefits provided include the following: Retirement Plan (with employer contributions) Health and Dental Insurance Long-Term Disability Insurance Life and Accidental Death and Dismemberment Insurance (at no cost to employee) Long Term Care Plan Voluntary Supplemental Life Insurance coverage for employee and family Paid Vacation Paid Holidays Health Care and Dependent Care Flexible spending accounts Family-oriented culture that values work/life balance Tuition reimbursement Career training Fit Founders Wellness Program A pre-employment criminal background check, drug screen, consumer credit investigation, and previous employer reference check will be required. EOE. Relax. Join our team. 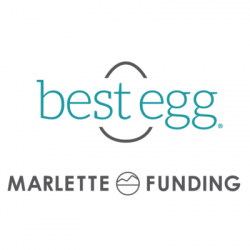 Loan Analyst Full-Time, Wilmington DE 19803 Marlette Funding, Provider of Best Egg personal loans is growing rapidly. $7 Billion in loans since 2014, consistent 30% employee growth over the past 2 years and plenty of employee perks including competitive salary, bonuses, 401k match, generous PTO and holidays and a well-stocked kitchen. We are a true work hard play hard organization that frequently elicits the feedback of our employees and gives back with frequent fun events and charitable contributions. The Job: The Loan Analyst is a member of the Operations team and will be responsible for verifying consumer loan applications and documentation to ensure eligibility while helping to avoid fraud and create a positive customer experience. This will involve making outbound calls, handling inbound calls, reviewing loan documentation, calculating income and problem solving for questions related to consumer finance loans. Responsibilities: Ensure we deliver a positive customer experience throughout the application and verification process Handle inbound and outbound phone calls to assist customers with questions, uploading documents and developing information provided on loan applications Review loan applications and supporting documentation to validate application details Calculate income and verify employment for designated applications Document and update case information within the system of record Provide feedback on trends that can be used to create bulletins and training modules Make recommendations on policies and procedures related to verifications and fraud Assist with tests and special projects as assigned by management Expect a fast-paced fun production environment that includes continuous delivery, quality, and knowledge sharing. Requirements: 1+ years of financial services experience or equivalent experience Positive and self-motivated Ability to work effectively in a team environment Strong analytical skills Excellent verbal/written communication skills Strong organizational skills and ability to multi-task Effectively communicate with all levels of Marlette Funding leadership Proficient with navigating basic computer applications Attention to detail & high emphasis on quality Must embrace change and thrive in an evolving department Culture: Ability to succeed within a cross-functional team emphasizing Collective Ownership in a fast-paced environment Be confident and willing to challenge status quo but also willing to concede and execute other’s ideas when necessary Capable of teaching and learning from others to promote continuity of knowledge and personal development Ability to work effectively independently and as a team member Excellent English written and verbal communication skills The Details: In addition to the interview process, all candidates will need to evidence their initiative, level of analytical reasoning, teamwork and ability to collaborate on projects, adaptability, and strength in verbal and written skills by completing a separate candidate assessment.